Cyril George Hopkins became head of the Department of Agronomy, and his groundbreaking corn breeding work improved the chemistry of the corn kernel. He later launched the Illinois System of Permanent Soil Fertility and determined that phosphate, limestone, and organic matter are needed for soil health, as is the annual rotation among crops. 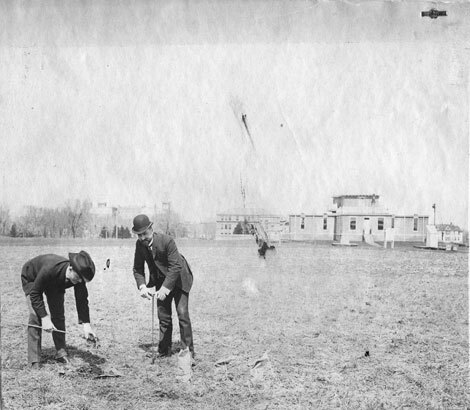 Soil samples taken at the Morrow Plots, April 1904. Credit University Archives.